Ya know…the lemon has been a worthy and faithful ingredient to many a vinagrette, marinade, sauce, pudding, pie, tart, cookie, cake, frosting, glaze, etc, Etc, ETC! Now I love lemon but what if we gave the good ol’ lemon a rest? He deserves it! Let’s put his spunky and slightly sweeter cousin to work instead! 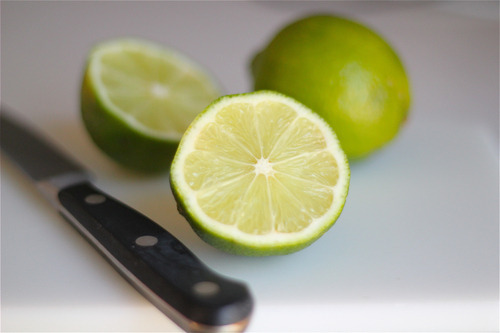 Try using lime in place of lemon in all of your fun summer recipes for a refreshing switch up! But in the end, whichever citrus fruit you choose, you really can’t go wrong!